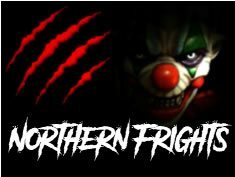 MinnesotaHauntedHouses.com features all of Minnesota's best haunted houses, hay rides, mazes, pumpkin patches, haunted attractions and fall fun that you're looking for the 2019 Halloween Season. Whether you're a thrill seeker looking for the best local haunts across Minnesota, or you're looking for Fall Festivals, and the more family-friendly side of Halloween Fun, MinnesotaHauntedHouses.com has what you're looking for. 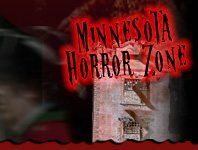 Since 2011, MinnesotaHauntedHouses.com has helped locals across Minnesota make the most out of the Halloween Season with comprehensive listings for all of STATE MN's best attractions, including dates of operation, in-depth bios, photos, social media feeds, and so much more! Our blog also features a deeper look into this year's Halloween Fun, including the latest Haunt News, Halloween Fun & Games, Seasonal DIY ideas, and the nitty gritty details of Minnesota's REAL Haunted attractions. Have a local haunt and want to get listed? Give us a call at 888-228-5265 and speak to a MinnesotaHauntedHouses.com representative today! Tim Burton Fans Rejoice! USAopoly Has Released "Clue: Nightmare Before Christmas", A Scary-Fun Twist on an Old Classic!